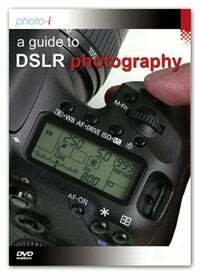 A guide to DSLR photography shows you how to get the best from your DSLR camera. Written and presented by Vincent Oliver, photographer and editor of www.photo-i.co.uk this DVD is designed to help you understand your DSLR, improve your photography and image editing skills. Visual, practical and presented in a user-friendly way this DVD has a running time of 115 minutes and is packed with information.